UPDATED: Wed., March 7, 2018, 9:36 p.m. 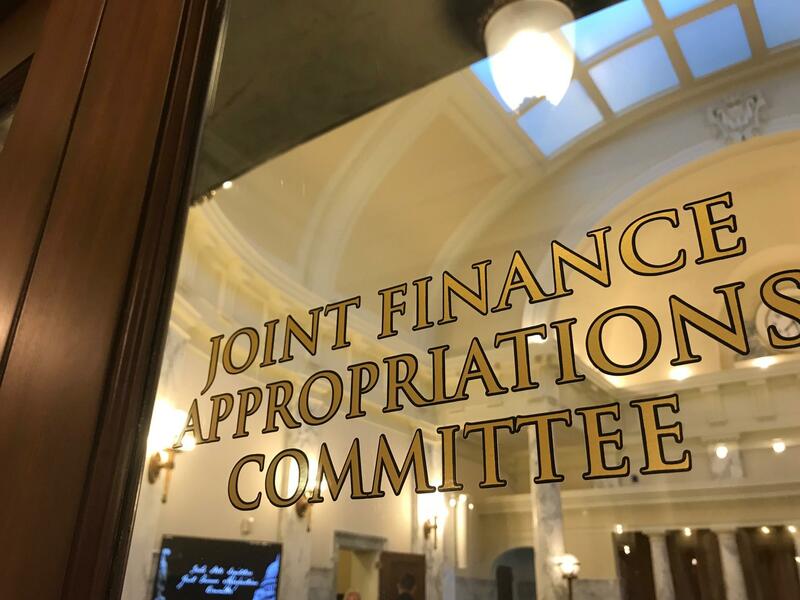 In the final vote in the Joint Finance-Appropriations Committee to approve the state Liquor Division budget, all North Idaho members who were present voted in favor, including Sens. Shawn Keough, R-Sandpoint; and Carl Crabtree, R-Grangeville; and Reps. Sage Dixon, R-Ponderay; and Luke Malek, R-Coeur d’Alene. BOISE – The Idaho Legislature’s joint budget committee bogged down in a big way on Wednesday over the state Liquor Division budget, as Sen. Fred Martin, R-Boise, led an ultimately unsuccessful move to try to reject funding for two new state liquor stores in the Treasure Valley – one of them in his own district. Seven votes, two of them tied; one reconsideration; and a whole lot of contention later, funding for the two new stores was finally approved on an 11-7 vote. The debate on the $21.4 million budget, which includes no state general funds, ended up taking about the same amount of time that the Joint Finance-Appropriations Committee spent this year on the public school budget – the state’s largest single budget, which adds up to $1.785 billion in state general funds. He noted that the two new stores are projected to provide a 100 percent return on investment within two years, and they would be funded entirely with money generated by the Liquor Division; no state general funds would be used. Martin also objected to approving a $12,800 request in the Liquor Division budget to cover Sunday hours of operation at three North Idaho stores, in Orofino, St. Maries and Priest River. Budget projections showed the investment would immediately be offset by increased sales. That item ended up going unfunded in the seventh version of the budget that committee considered and finally agreed on. But he steadfastly opposed the idea of adding additional stores or hours. A day earlier, Martin had cast the tiebreaking vote in the committee to reject $207,300 in additional funding for the College of Western Idaho – which also is in his district – to add direct student services staffing to help retain students, including a crisis counselor who would be available to the school’s 700 enrolled students who are veterans. “CWI is doing an excellent job – their enrollment is going up,” Martin said Wednesday. “It was a close call, but I just felt like they didn’t need that particular funding at this time. The votes on the Liquor Division budget were sharply divided, with members with religious objections to liquor consumption, including Martin, generally opposing adding the two new state liquor stores. More than a quarter of Idaho’s population belongs to the Church of Jesus Christ of Latter-day Saints, or Mormon church, as do many Idaho lawmakers; the church forbids alcohol consumption. Two committee members were absent from Wednesday morning’s deliberations, Rep. Melissa Wintrow, D-Boise, who was out with the flu, and Sen. Mary Souza, R-Coeur d’Alene. Souza was the sponsor of the budget proposal that sought to include both the two new stores and the additional Sunday hours in North Idaho, but she was presenting her bill to move school board elections to November in the House Education Committee at the same time that the appropriations committee was deliberating on the liquor budget. Agenbroad said Souza had hoped to return to the committee before the budget came up, but that she’d arranged with him to “pinch-hit” if she didn’t. He made several of the motions that failed. The final, successful budget motion was proposed by committee Co-Chair Sen. Shawn Keough, R-Sandpoint, after the other proposals had been shot down. It included the two new stores in the Treasure Valley, but rejected funding for the additional Sunday hours in North Idaho. Proposals that already had failed included one to include the North Idaho hours but not the two new stores; and another to include one of the new stores but not the North Idaho hours. Published: March 7, 2018, 1:17 p.m. Updated: March 7, 2018, 9:36 p.m.